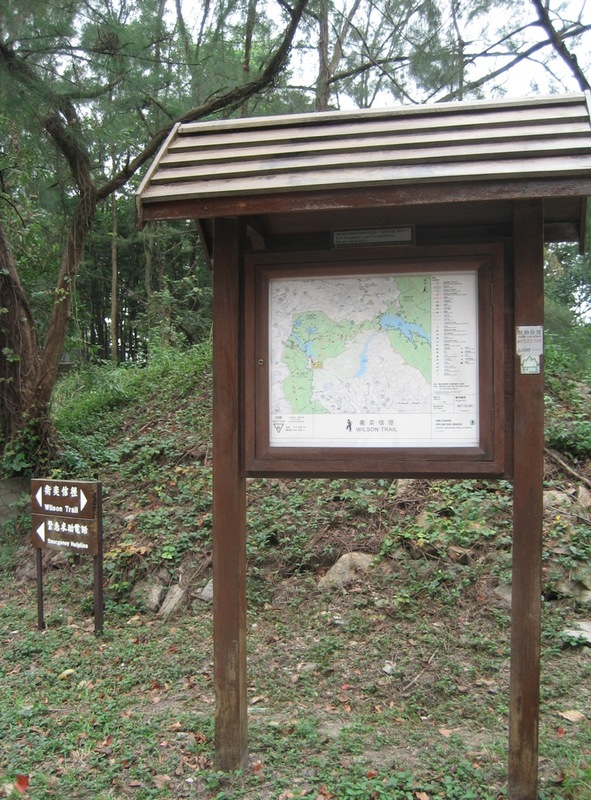 Wilson Trail 6 goes from Tai Po Road to the Shing Mun Reservoir. 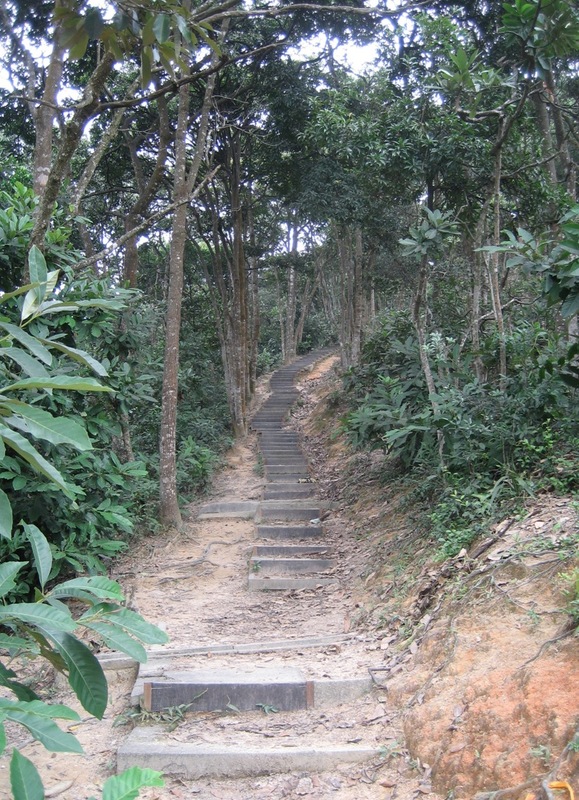 The hike is 5,3 km long and it is estimated to take 2 hours, but we only needed 90 minutes including a short break. The hike on its own is short, so best to combine it with Wilson Trail Stage 5. 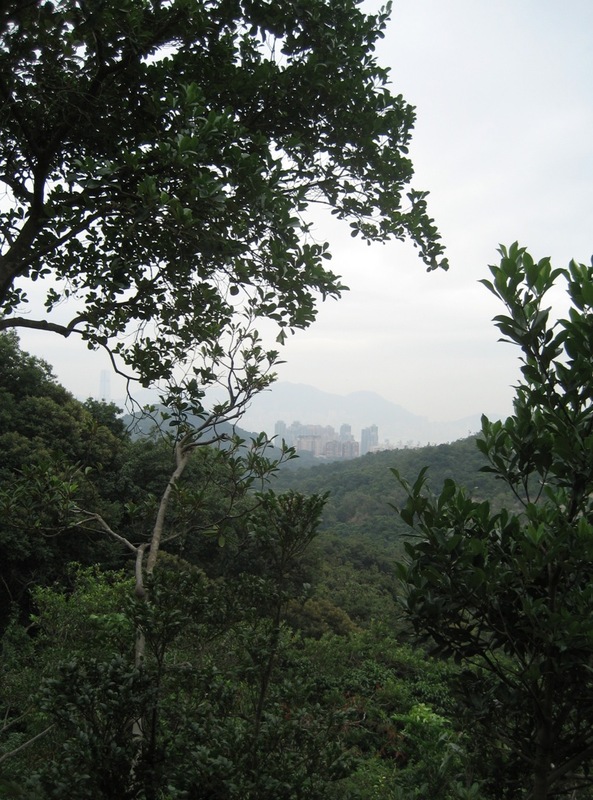 You need to go to Sham Shui Po MTR station and walk from Exit D2 to Tai Po Road. 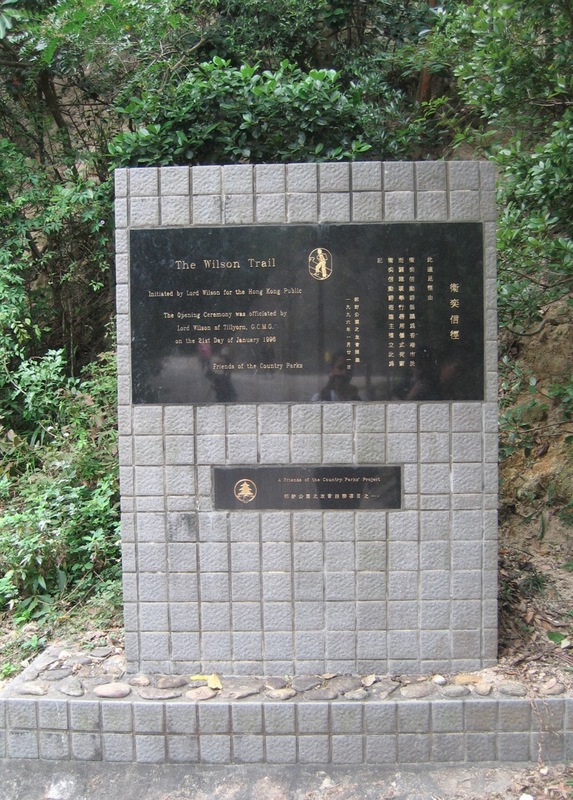 Take one of the three buses 72, 81 or 86B to Kowloon Reservoir, and then the hike starts on your left side. 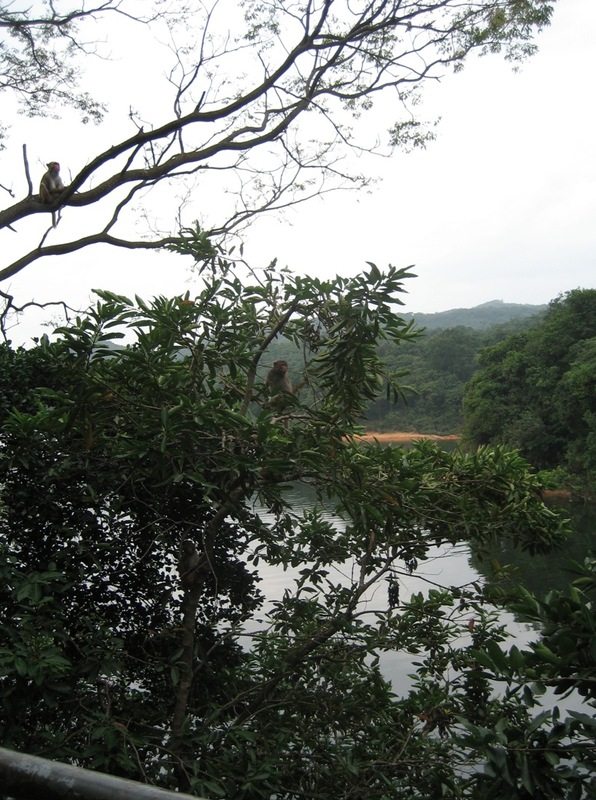 First of all we noticed lots of monkeys, small ones, tiny babies, big scary-looking ones and curious younger ones. They sat on the way we had to pass, so we walked quietly past them, trying not to get to close to the babies so that we won’t scare the babies. 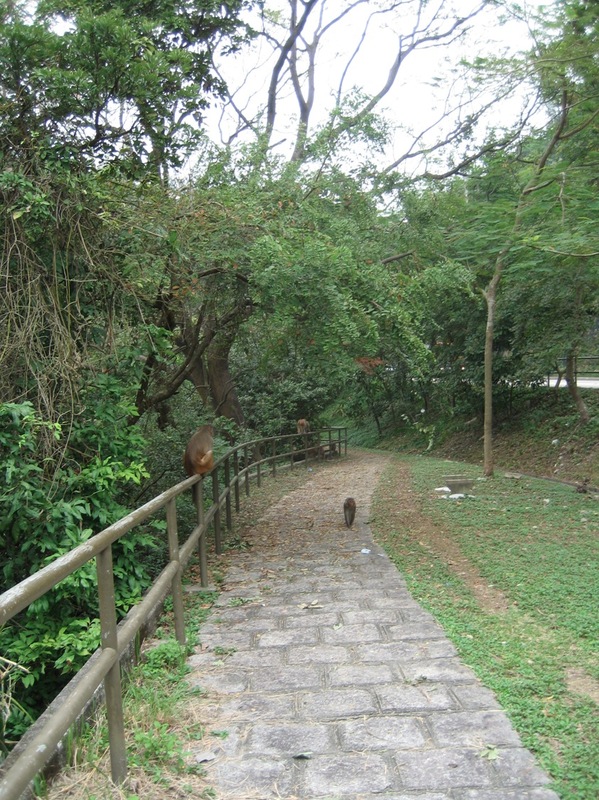 Throughout the Kam Shan National Park we saw lots of monkeys, probably around 60-70 animals within the 90 minutes walk. A steep flight of steps leads up to Smugglers’ Ridge and views of hills to the east. We turned right from the top and passed through thickets of bamboo until the path levels out at the shores of Jubilee Reservoir.